Sometimes the best way to save money is to spend a little. This is especially true when it comes to home maintenance. A small fix here and there can prevent larger problems down the road, saving you big as a result. In addition to repairs, you can save a lot of money by improving the insulation and energy efficiency of your home. From roofs to windows, there is a number of ways for you to decrease your yearly heating and cooling bill. 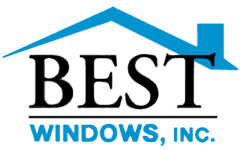 With more then 15 years serving the community we love, Best Windows Inc. has worked to make a name for itself in the Burr Ridge area. We understand that when some looks for home window replacement, Burr Ridge IL residents expect the best. That is why we go out of our way to provide quality service, quality products, fast delivery, and an excellent warranty. When it comes to home window replacement, Best Windows Inc. has you covered. From the initial conversation through the home inspection and past the installation, we will work with you every step of the way to ensure the best possible job. In addition, we strive to be different from our competition by having no hassle and no pressure policies. Investing in your home can be a big deal, and we think that you deserve to make up your mind without being hassled. If you have any questions or would like to use our service, then we would be more then happy to help. If you end up going with our competition, then we will respect your decision. Best Windows Inc. can provide some of the lowest costs around because when you work with use you are dealing with the owner. 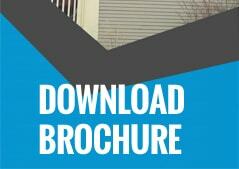 This eliminates the unnecessary commission and sales fees associated with other window installation companies. In addition, when you go with us, you go with a dedicated and experience team that has years working within the community to provide the very best in service. This is in part why we have a solid reputation with the BBB, our Energy Star rating, and our most recent recognition as the Angies List Super Service Award Winners for 2014. We pride ourselves in being able to transform old and worn out windows with clean new windows that look fantastic and work towards reducing your energy bills. If you would like to learn more or you have any questions, please do not hesitate to contact us at (708) 304-2446. You may also visit our website Bestwindows.net for more information about home window replacement Burr Ridge IL.